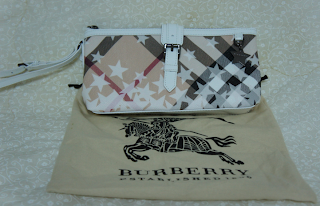 Burberry Nova wristlet clutch bag with stars design in White trimming, with the zipper and the protective buckle closure at top. 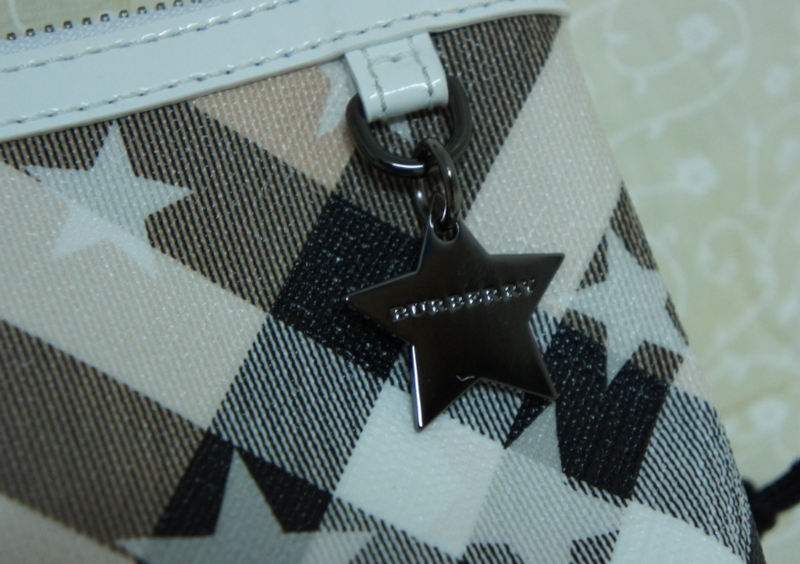 Metal star chain in black with the Burberry logo featuring. Burberry logo equestrian knight embossed and established 1856 detailed inner. Nova coated canvas and the leather trim and strap. Size: 9.4" x5.5" (W24 x H14cm). Gucci 'joy' medium boston bag.